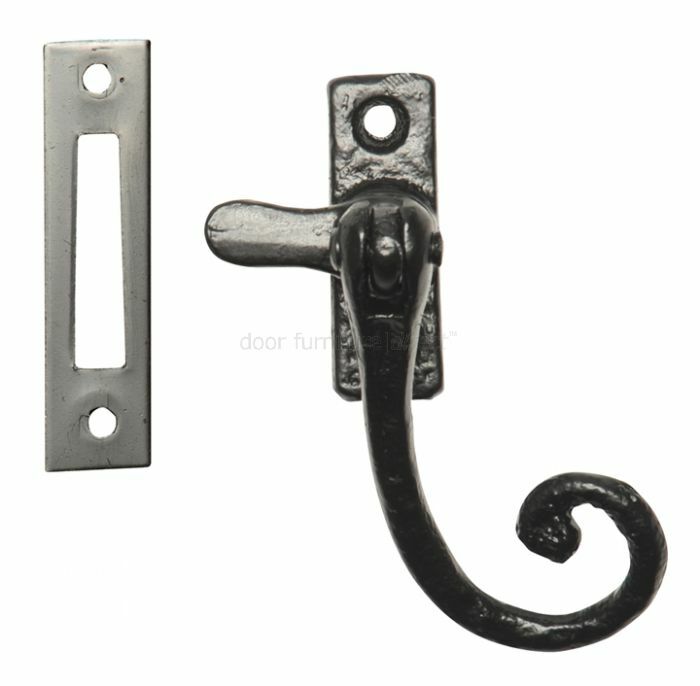 Black antique style reversible (either hand) casement fastener supplied complete with a mortice plate and fixing screws. The casement fastener is fitted to the side rail of a rebated window and the mortice plate is fitted to the frame, adjacent to the fastener. A slot is morticed out behind the plate to house the projection of the fastener when the window is in the closed position.